Here is my February online income report. 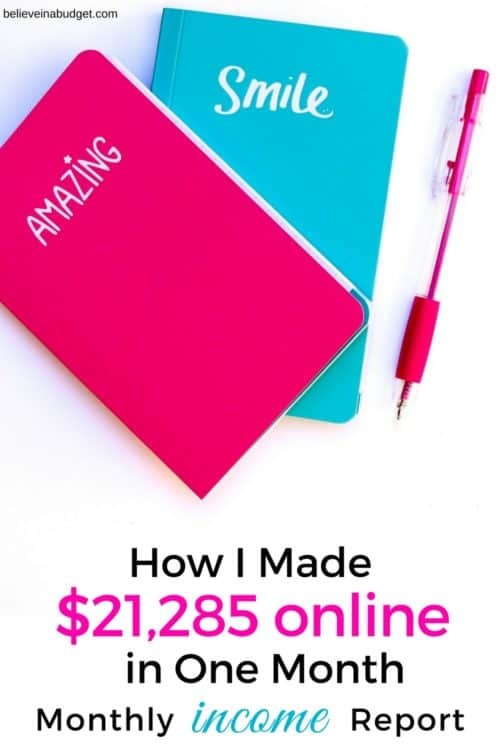 I am sharing how I make money online from my blog and business. January was a great and busy month. I knew going into February things would be a little calmer. For the past few months I've been working pretty steadily towards some goals and I'm satisfied with my work accomplishments. For the past couple of years, January has been my month of recovery from work. Even though it's a new year and I have a ton of excitement for all the things, my brain and body tends to shut down and I work less. This year, I did pretty well in January! I continued the same pace of work and felt great! As February hit, I already knew I was going to slow things down. I had completed some projects in January that would lighten up my schedule and I had a vacation planned for the end of month. We took a week long vacation to the Smoky Mountains and it was amazing. I pretty much stayed off-line, mostly due to lack of internet (ha!) and it felt good to unplug. We booked a huge, gorgeous cabin that was dog friendly via AirBnB and had a great time hiking, relaxing and spending time with family. If you haven't used AirBnb – I totally recommend it! I've been using it for the past few years and it's such a great way to save money and get a lot of bang for your buck. Here's a $40 credit towards your next stay! In February, I 99% stuck to my work-life balance schedule of working Monday to Friday, with no laptop on the weekends. I'm not going to lie – it's hard not to work on the weekend. I enjoy blogging and love my online business, but I know overall it's healthier for me to step away from work for a couple of days and enjoy time off-line. As a business owner, it's easy to have the mentality of ‘if I don't work, I don't get paid' but that's simply not the case. I always worry if my blog or business will suffer if I don't work on things every day, but the truth is – things can generally wait until Monday. If you are new to reading my blog income reports, here's a quick refresher! I started my blog in January 2015. My most popular income report is still my very first one! In April 2015, I published my first income report proudly stating how I made $60. My first income report is still incredibly relevant! If you are a new blogger, you can read my first income report so you can see how I can make money online. I have now been publishing income reports for almost three years. Time is flying by and I still think it's crazy that I am doing this! If you haven't started blogging, this blog post will provide you with a list of blogging ideas, tips and teach you how to set up your blog in 15 minutes. Read the post here. Since I started blogging and reporting my income reports, my income has overall steadily grown from the previous year. I'm at an exciting point with my income reports because I can look back at 2015, 2016 and 2017 and compare how much my income and expenses have changed. I can now compare monthly, quarterly and yearly income. I never knew I'd be so into data, ha! I consider my overall experience with blogging and my online business totally worth it. I'm also glad my income reports are fairly personal and I'm not just listing out numbers. I really like going back through all of my online income reports to see what worked, what stressed me out and what big decisions I was making at the time. For example, most of my income in the early days came from Pinterest VA freelancing and Pinterest management. I have always used ads and done sponsored posts when I felt it was a good fit for my blog. Today my income primarily comes from affiliate income and my own products and courses. It wasn't an easy shift – it took a large part of 2016 to accomplish this – but I am so glad I documented the journey! In 2015, I made $0. My blog was only a couple of months old! I also have pre-paid expenses that I have already paid for annually. The reason I switched over to annual plans compared to monthly plans is because of the savings. Pre-paying with an annual plan can save a lot of money! I would recommend doing this if you feel confident about your purchase. I feel extremely confident about the tools I'm using, but it took me over two years to feel like this with all aspects of being online. If you are planning on being online for the long term, then you should start looking at your budget. While you don't need to pre-pay for everything at one time, I would start with one service/provider that you love and switch to an annual plan if you can afford it! I don't include the services below in my monthly budget because I've already paid for them. I do set aside funds for these expenses each month so I can be prepared when their various renewal dates come up. • Bluehost – this is the hosting company I started with in 2015! • Tailwind – this is the scheduler I use when I do all my pinning on Pinterest. It’s my favorite scheduler I use for myself, recommend to clients and for all my students. • Teachable – this is the platform where my courses are located. If you are thinking about offering or selling a course, Teachable has a great platform. • SamCart – this is the checkout page I use to sell my courses and products, as well as pay out affiliates. It's a really smooth platform and has so many features that I utilize on a daily basis. SamCart allows me to view my sales, create reports, etc. It's a must have for my business. • Drip – this is my email provider! • LeadPages – I use LeadPages to create my email opt-ins and create landing pages. There is a ‘drag and drop' feature that makes it super easy to design and create pages. • PostPlanner – this is how I schedule my social media posts to Facebook! • Zapier – this is a magical tool that will connect all the different platforms and tools together so it's a seamless, easy experience for a reader or customer. These are called ‘zaps' because they combine tasks when purchasing products or enrolling in a course! There is pretty much a zap for anything for blogs and online businesses. I set aside money each month that go towards my annual expenses. That way when an annual payment is due, I already have the funds set aside. Having a buffer for my business is really helpful! This allows me to be financially ready when payments are due without having to take money from that current month's income. If you are a brand new blogger, it can be hard to save money when you aren't making much money! Once you start making money, it's always smart to start investing a portion of the income back into your business. Aside from starting my blog and selecting a theme, I had very few if any expenses for almost my first year of blogging. As my income grew, I was able to invest in more tools (all the ones mentioned above) one at a time. Finally, this doesn't include things like health insurance or taxes. I was putting 30% aside each month, but now I'm adjusted that to between 30-35% moving forward to account for buffering my business savings account. I also have to plan for things like savings, retirement, my HSA account, etc. While I feel 100% confident using Pinterest, I'm still taking my time to truly learn Facebook ads. With that being said, my Facebook ads are definitely paying off! I'm earning additional income and growing my email list. I've yet to lose any income from investing in Facebook. 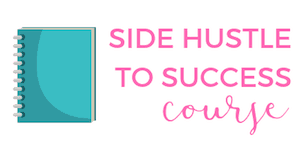 If you want to learn how to use Facebook ads, I definitely recommend my friend Bobby's course called Facebook Side Hustle Course. Bobby and I have worked with each other on projects – he's helped me with Facebook and I've helped him with Pinterest projects. Facebook is really great for short term and long term goals. 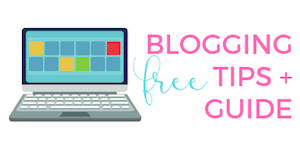 Sometimes my goals are to send traffic to a specific blog post on this website, offer a freebie or suggest someone else's course. There are so many possibilities and outcomes when it comes to ads! Right now, my main source of traffic is still Pinterest, followed by Google and then Facebook! As I mentioned above, I am 100% confident using Pinterest. With Pinterest, I don't spend any money outside of using Tailwind, which includes Tailwind Tribes. • Grab this FREE guide on how your blog or business can grow and make money using Pinterest. • Use this 20 Step Checklist to make sure your Pinterest account is optimized and ready to go. • Sign up for Pinterest Presence, which teaches you how to drive traffic back to your website and is full of technical training and marketing strategies. It's how I went from 5,000 monthly page views to over 200,000 monthly page views in roughly six months! • If you want to learn how to use Pinterest AND start a $500-$1,000 per month side hustle, check out How to Become a Pinterest VA TODAY! March will be a semi-busy month for me. I've been reviewing my courses to see what needs updates. Sometimes course material needs updating and I try to update material twice a year or when a major change happens online. I've also been planning out my next few months in more detail. I need to update older blog posts and plan my upcoming blog posts. I would really like to get a few months ahead on this, but always seem to fall behind. For PinterestVA (my other website), we are in the planning stages for the next launch of Become a Pinterest VA TODAY!. Launching a course is hard work and requires a lot of work behind the scenes. There are so many aspects that go into a launch! It takes a couple months of planning to just get ready for the enrollment period. Our to-do list is a few pages long! If you have taken a course before, you might not understand how much time and energy it takes to actually get the course ready for you to view. It's insane! Aside from creating a course (which can take months!) there's a lot of follow up and maintenance required. Reviewing material, updating content, answering course questions, utilizing social media, working with affiliates who promote our course and developing a marketing plan are just a few items on our to-do list. Plus, once enrollment opens and for the coming weeks, we have to be prepared to welcome and help all new students. In addition, we have a private Facebook group that we participate in and interact with students. Even with all the work, I get super pumped about the course! 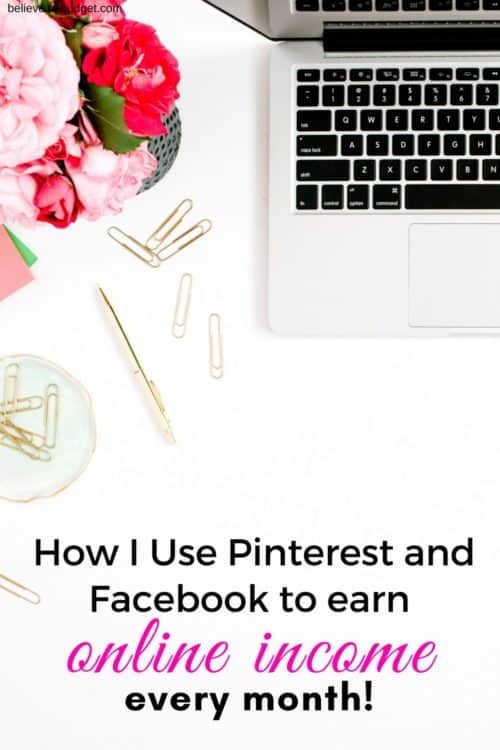 I like helping others learn how to become a Pinterest virtual assistant, which is how I got my start in freelancing. It's a really unique and profitable freelancing niche! Many of our students start out working as a PinterestVA as a side hustle and want to earn $500 to $1,000 per month in their spare time. We also have students that have gone on to quit his or her day job and make a career as a Pinterest manager. It's really exciting to watch students flourish and makes me feel I have come full circle with my line of work. 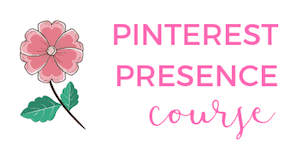 If you want to learn more about Become a Pinterest VA TODAY!, you can check out the course here. I hope you enjoyed reading this online income report! Do you have any questions? Hi Kristin, I just want to say that I love how down to earth and open you are with your writing. I am a new blogger/podcaster and feel overwhelmed with facebook. I heard from Amy Porterfield about pinterest being a viable option to drive traffic. In setting up my boards for the very first time I came across your content. Hopefully with your help, I will be able to get my pinterest going and generate traffic to my services and convert viewers. Great post. I love reading income reports and especially the more detailed ones like yours.This is so inspiring and encouraging.Am a newish bloggers and this makes me see that with hard work i could start making good money from my blog. Thanks so much! Sometimes I still feel new too. Blogging isn’t a get rich quick scheme or anything, but if you enjoy it and are patient, it can definitely become a great way to earn income!! Congratulations on a great february! I don’t know if you ever do posts like this but I’d love to hear more about your vacation to the Smoky Mountains!